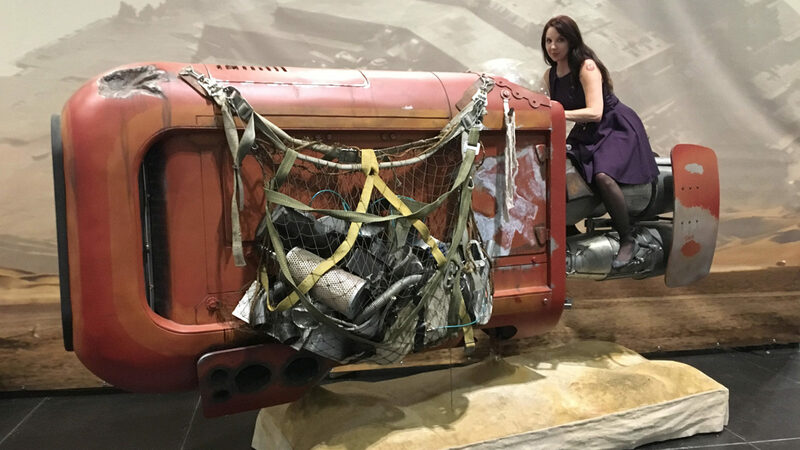 The Behind-the-Scenes stage host discusses her own experiences at the world's biggest Star Wars party. The year was 2010. Bleary-eyed but enthused, I got off a red-eye flight from Los Angeles to Orlando and grabbed a taxi to my hotel room by the Orange County Convention Center. 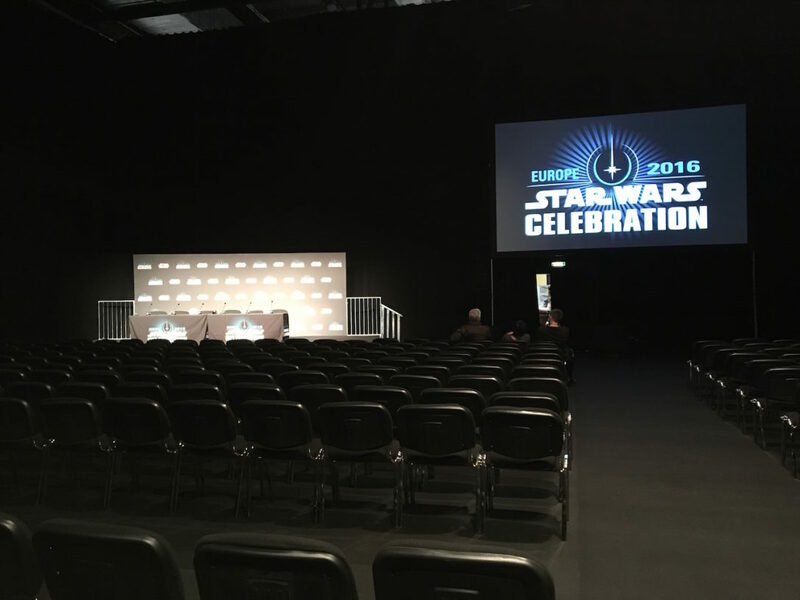 It was time for me to attend my first Star Wars Celebration (Celebration V), and my fandom would never be the same. 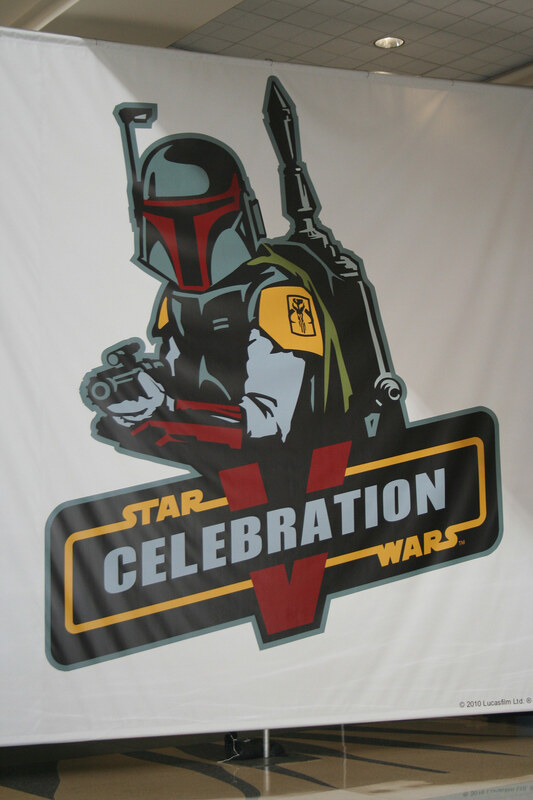 The Boba-rrific Celebration V logo. You know The Force Awakens line, “Chewie, we’re home?” It’s how fans feel when they walk into any Celebration. We love Celebration because there’s nothing quite like being surrounded by tens of thousands of people in the same place for the same reason: a love of Star Wars. 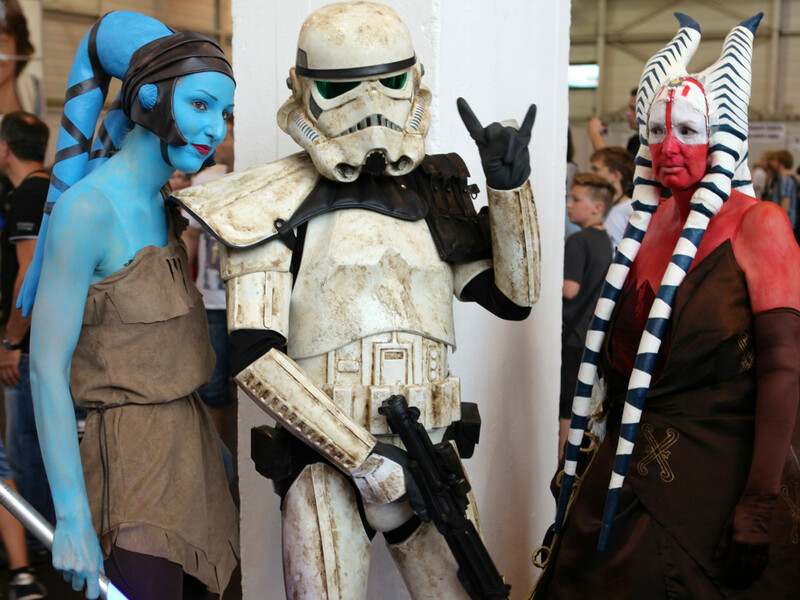 A sort of fandom electricity floods the air and infuses attendees with elation. 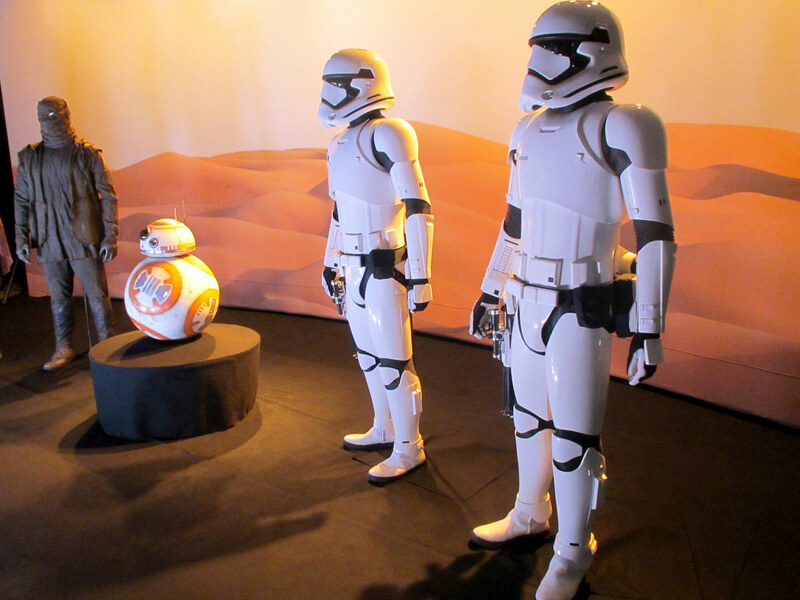 The Star Wars: The Force Awakens exhibit at Celebration Anaheim in 2015. When I went to Celebration V, I didn’t really know anyone else. With only two days in town to take in the convention, I focused on seeing as much as I could. I chatted with others while I waited in lines and browsed the exhibit hall. I’m shy, but knowing I had at least one thing in common with everyone around me made it easier for me to overcome my usual anxieties. Excitement for Star Wars is friendship currency at Celebration. 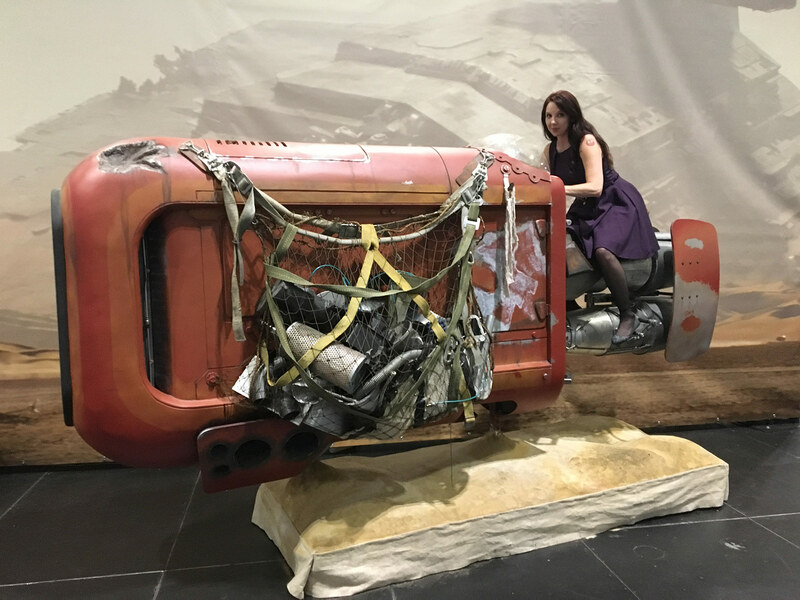 Having a Rey moment at Celebration Anaheim. The sappy scene in Love, Actually with all the hugs at Heathrow Airport arrivals makes think of Celebration, which I know is equally sappy. 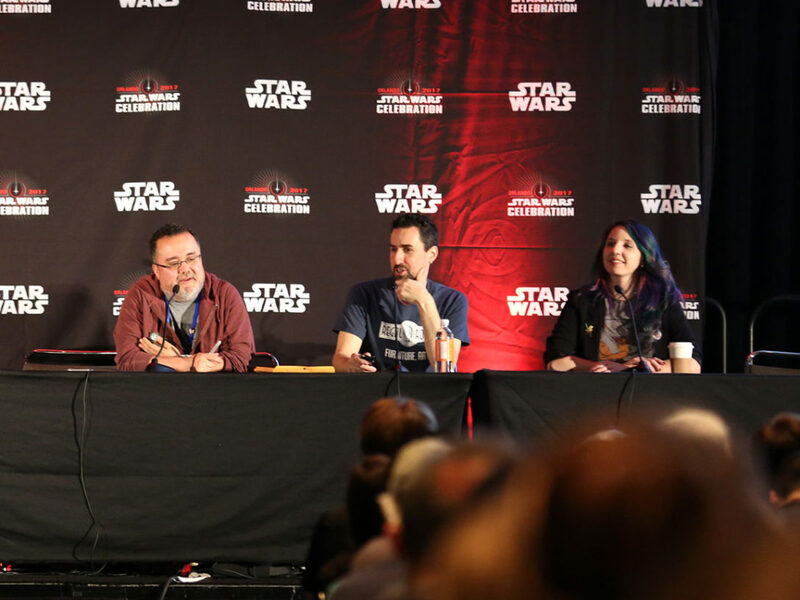 If you pause to watch the crowds at the convention, you’ll see ear-to-ear grins, embraces, and handshakes as fans who met each other online meet in person for the first time or as dear friends separated by geography come together to hang out at Celebration. It’s a giant Star Wars reunion. I’d attend Celebration only to spend time with my pals in fandom, but it just so happens the gathering is much more than a meeting place. The schedule is packed with events for every corner of fandom. Want to learn about collectibles? You’ll find a whole programming track centered on the subject. Maybe you’d rather see interviews with cast members from across the saga and animated series? No problem. You can plan your entire experience around viewing panels. If you’re focused on purchasing limited edition art or rounding out your autograph collection, you can easily do both at Celebration. 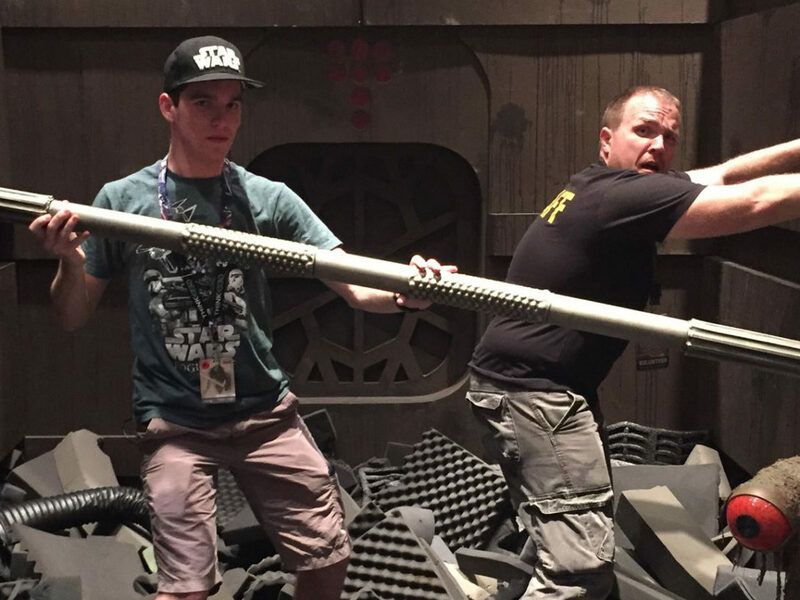 In short, it’s hard to get bored at Celebration. 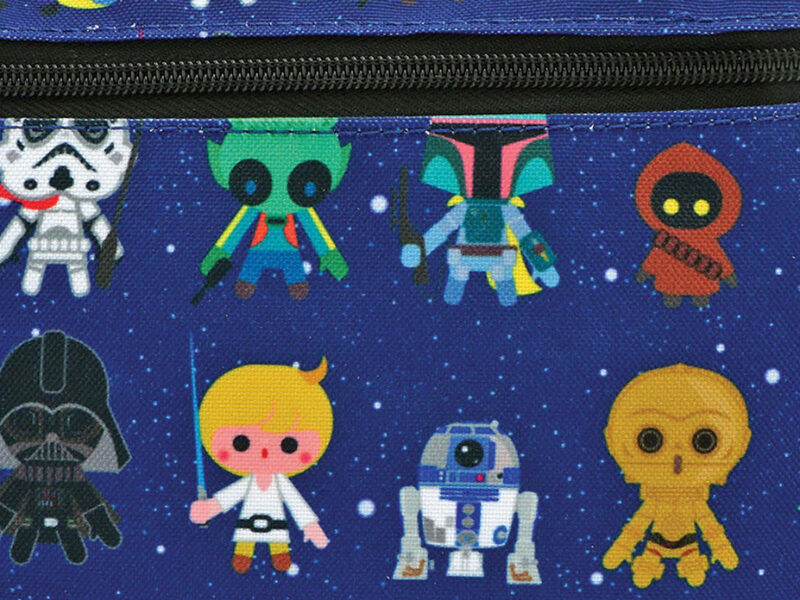 At first blush, I know four days can seem like a lot of time to fill with Star Wars, nothing but Star Wars, but you can customize the convention just like you do with your drink at Starbucks. Instead of a skinny latte with an extra shot of espresso (I don’t order many skinny lattes, so pardon me if the combo doesn’t make sense), pick and choose programming elements to your taste. Or, wander around and see what you see. 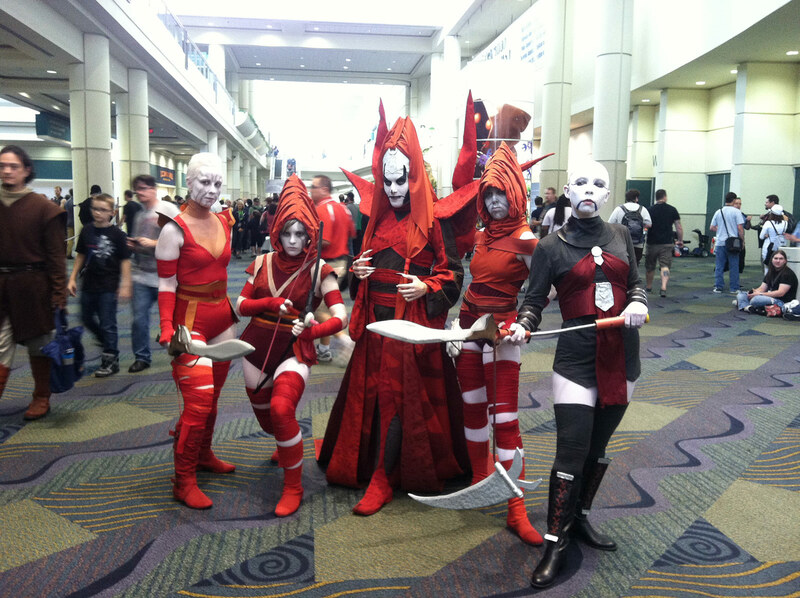 The Nightsisters arrive at Celebration VI. Beware their dark magicks. You may think I’m biased about Celebration because I host the Behind-the-Scenes Stage. You’d be right. 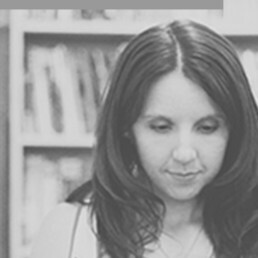 How could I not sing the praises of the event that led me to the best experience of my career? But I’d be going to every Celebration regardless of my role. I’ve solidified Twitter friendships from running into people at Celebration. 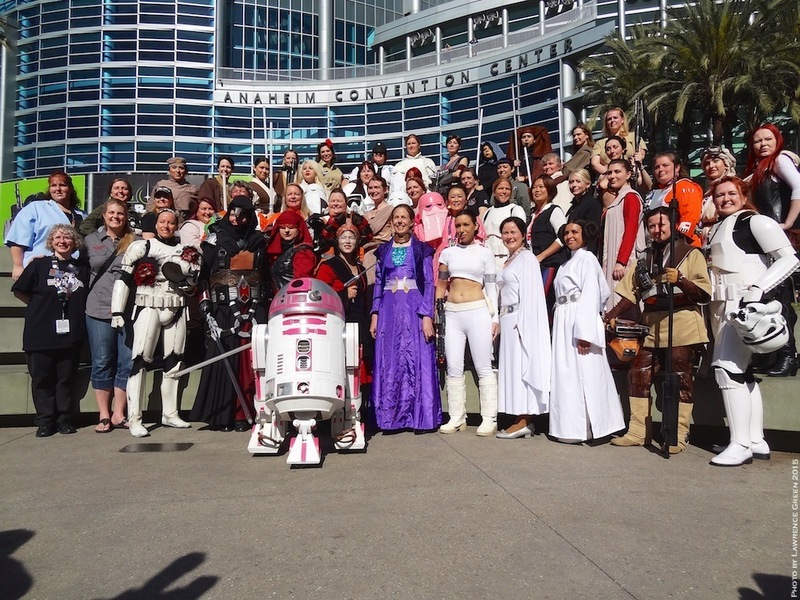 I’ve bonded with a fellow fan over our mutual love for Ahsoka Tano, and we turned our excitement about Ahsoka’s return in Star Wars Rebels into an event dozens of other fans joined. 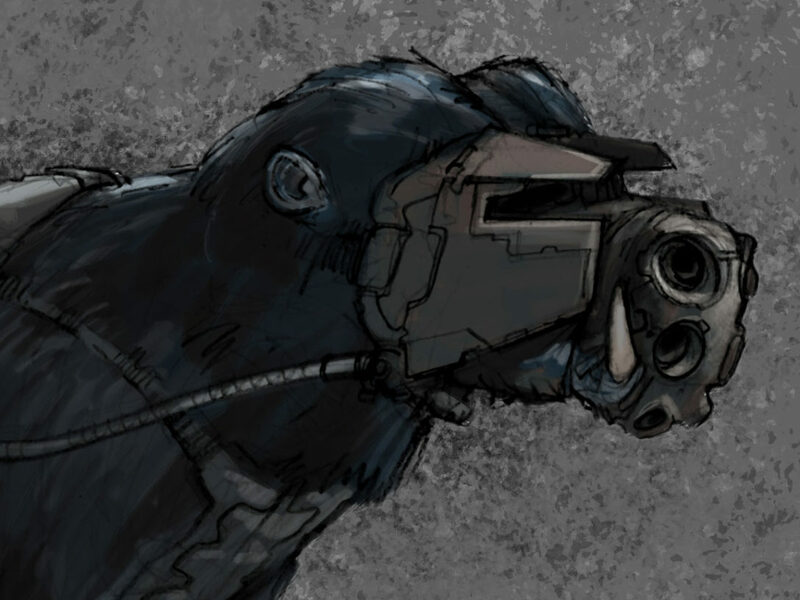 I’ve had the joy of meeting artists and watching their work and careers unfold over the years. I’ve participated in live podcast stage offerings and learned from other podcasters. I’ve photographed more insanely talented cosplayers than I can remember. 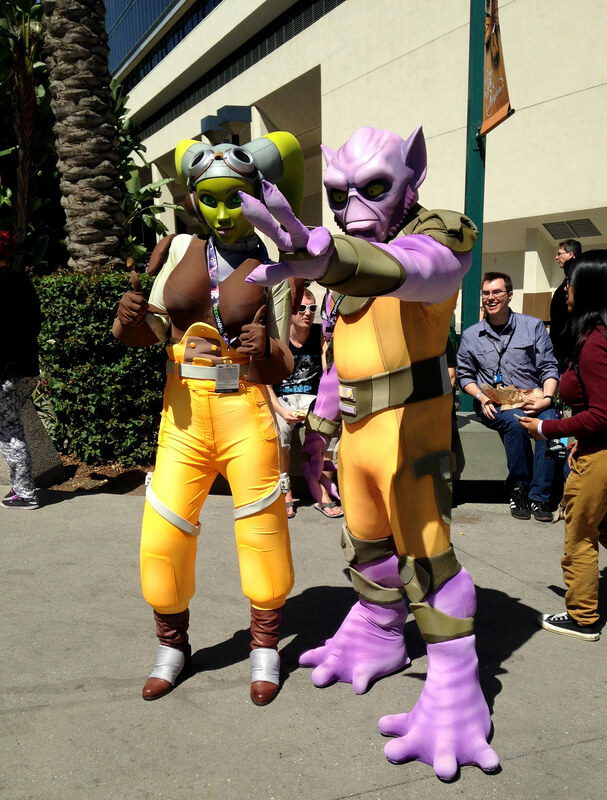 Hera and Zeb get some sun outside the Ghost at Celebration Anaheim. And now I get to spend Celebration interviewing people all day about Star Wars and their connection to the galaxy far, far away. I know Obi-Wan says there’s no such thing as luck and I mostly agree, but I can’t help but feeling like I’ve won the jackpot. I mentioned earlier my fandom wasn’t the same after my first Celebration. Afterward, I felt more connected. 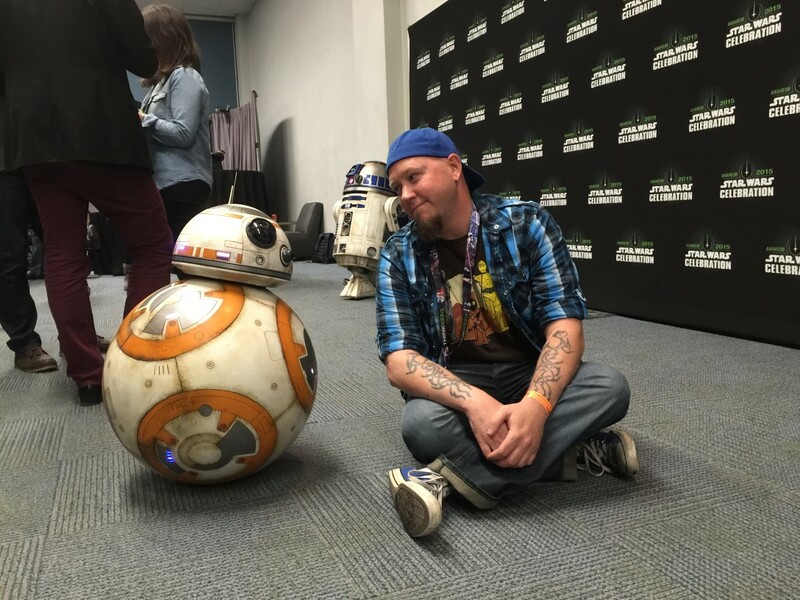 Sure, I talk to fans on social media and hang out with local Star Wars enthusiasts, but Celebration made me appreciate the huge family I’m a member of simply because I like Star Wars. I have a place where I belong. Chewie, I’m home. Now it’s your turn. Why do you love Celebration? Tell us in the comments. Get tickets for Star Wars Celebration 2017 in Orlando now!